You wouldn’t buy a plane ticket without knowing the real cost. But that’s what many North Carolinians do when it comes to their health care. We know that navigating the health care system and figuring out what you can expect to pay, is one of the most complex and frustrating issues that many of us face. National studies have shown that North Carolinians pay much more for health care than nearly all other states, currently ranking #50 on certain cost measures. In fact, right here in North Carolina, the cost of a procedure can differ by thousands of dollars even within the same town. In just 10 years, a Blue Cross and Blue Shield of North Carolina (Blue Cross NC) analysis show that some North Carolinians will spend up to 25 percent of their take-home pay solely on medical expenses. As the largest organization in the state that insures many North Carolinians for most of their lives, we have a responsibility to do what we can to reverse these alarming trends. And it starts with simplifying the health care process. We want consumers to know they can easily save money on one of their largest household expenses, by giving them the tools they need to make informed health care choices and get the most for their dollar. 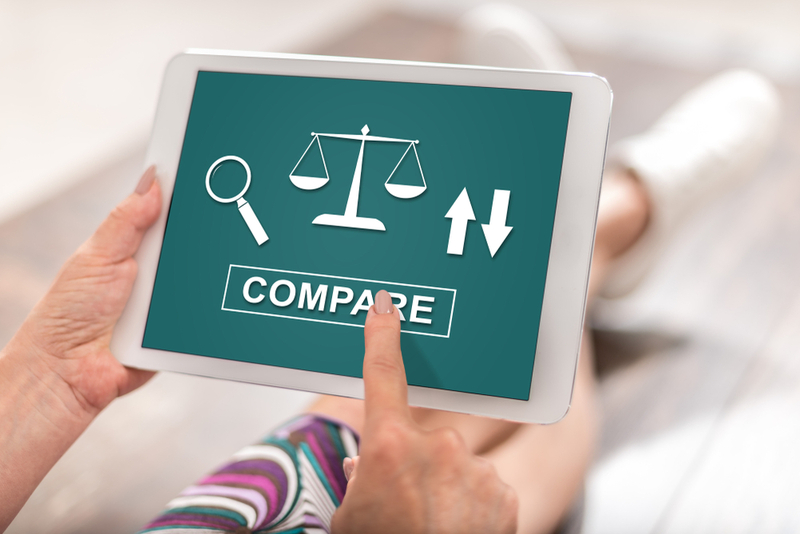 In 2012, we introduced HealthNavSM, a tool that lets our members compare the cost and quality of health care procedures. In 2015, we became the first in the country to give everyone the ability to see the costs of over 1,200 common medical procedures through our Cost Transparency Tool. In 2018 we rolled out a new program called SmartShopper, a cost-saving program that helps improve the bottom line by paying employees to shop for certain medical procedures. It has been so successful we are now making it available for any traditional self-insured employer. SmartShopper is a tool that makes it simpler than ever to find lower-cost medical procedures. It lets members price shop for over 80 common procedures like colonoscopies and knee replacements. The best part? They can get paid up to $500 per procedure for making cost-effective choices for the care they already need. 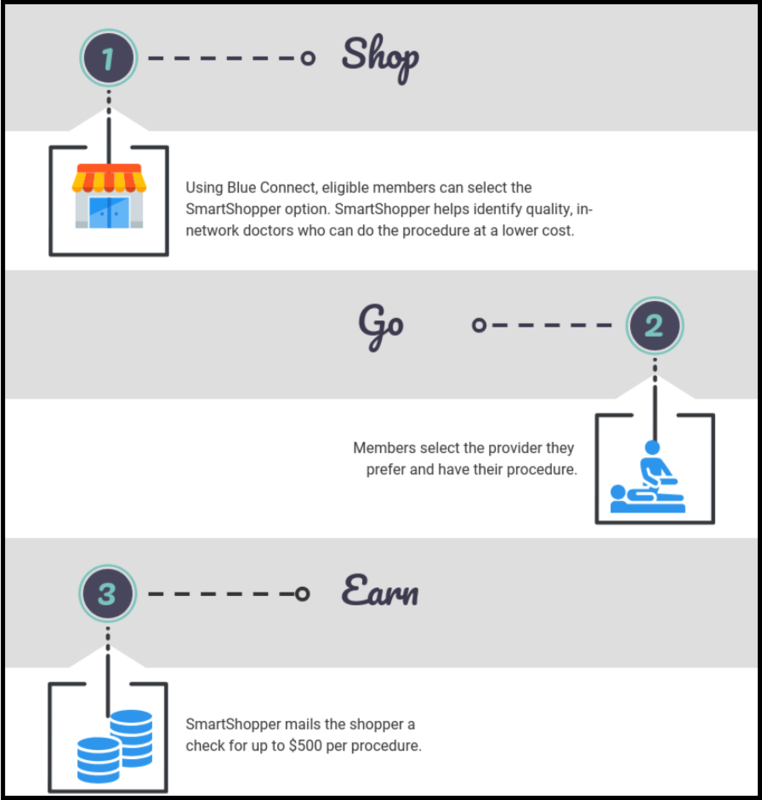 SmartShopper is a cost transparency incentive program that makes it simpler than ever to find low-cost doctors and hospitals. It lets participating members price shop for over 80 common procedures like colonoscopies and knee replacements. The best part? They can get paid up to $500 per procedure for making cost-effective choices for the care they already need. Transparency has become the norm for most industries. The health care field can no longer play by a different set of rules. People can’t be in the dark about costs until bills come in the mail. Improving access to pricing and quality data can help patients cut their health care costs. It also helps them make informed choices about their care. This is critical if we want to change health care, making it simpler to understand, more affordable and customer-focused. We’re excited about our range of tools that help simplify the health care experience, especially our new SmartShopper tool. These tools can’t fix the health care system overnight, but we think they’re a step in the right direction. SmartShopper, powered by Vitals, is a value-added service offered to self-funded large group (250+) employers and additional fees may apply. The program is not part of the member’s policy or benefits and may be changed or discontinued at any time. The program is currently not available for Blue Cross NC fully insured lines of business. Vitals does not offer Blue Cross or Blue Shield products. HealthNAV is a service mark of Blue Cross NC. Blue Connect is a service mark of the Blue Cross and Blue Shield Association. As vice president of the major group segment, Steve Crist has responsibility for new business acquisition, client management and financial performance of middle market to national account employer customers headquartered in North Carolina. Steve has been with the company and in employee benefits for over 20 years, all of which has involved relationship management with consultants, producers, prospects and existing customers.